The charismatic movement has made an impact on the church unparalleled in history. But one legacy of the movement is confusion and mushy thinking. In Charismatic Chaos, John MacArthur calls for biblical evaluation and analyzes the doctrinal differences between charismatics and non-charismatics in the light of Scripture. What should we think of the Signs and Wonders movement? Does the Bible promise health and wealth? 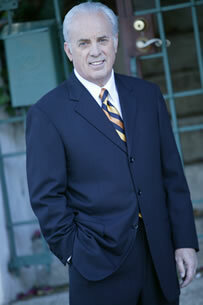 In 1969, after graduating from Talbot Theological Seminary, John came to Grace Community Church. The emphasis of his pulpit ministry is the careful study and verse-by-verse exposition of the Bible, with special attention devoted to the historical and grammatical background behind each passage. Under John’s leadership, Grace Community Church’s two morning worship services fill the 3,500-seat auditorium to capacity. Several thousand members participate every week in dozens of fellowship groups and training programs, most led by lay leaders and each dedicated to equipping members for ministry on local, national, and international levels. I grew up in the church of a popular Word of Faith televangelist. 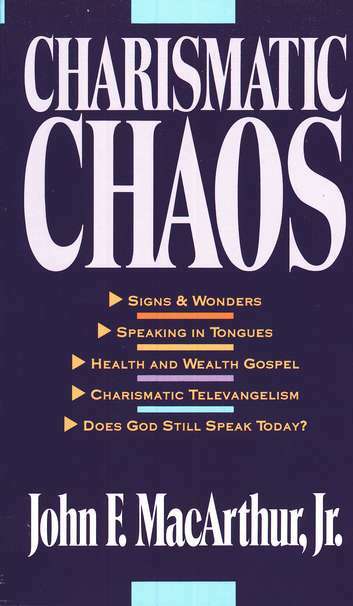 In 2009-2010, while attending a charismatic bible school, Charismatic Chaos was extremely helpful to me as I looked through the scriptures to study these important topics. Despite being over two decades old, readers will find this book relevant to today’s current theological climate. Dr. MacArthur is thorough in exegeting the relevant passages of scripture. The book does a fine job of comparing the modern practices of today’s charismatic churches with the gifts of grace as taught and exhibited in the scriptures. Most people today either have direct ties with the charismatic movement or are know someone who is involved with the movement. With the rapid growth and broad reach of charismatic teaching and practice, this book is relevant to every evangelic believer. Thanks for the testimony, Joe! How did you first get your hands on the book if you were so entrenched in the Word of Faith movement? I actually got it from my grandfathers bookshelf. I already respected MacArthur and was already trying to work through the issues with the help of some reforming believers around me and after having watched a Justin Peters presentation. Wow, just like Spurgeon, who loved to read Puritan books on his grandfather’s library, chief among them Pilgrim’s Progress. You’re in good company. And what a great reminder of how you never know how the sound Christian literature you collect will affect your family in years to come. It’s never in the way you expect it to.